Tough covering to protect timbers, available 4″ and 6″ wide. TieGuard rubber covering protects existing wooden border systems. Sold by the foot, and available in widths of 4″ and 6″. 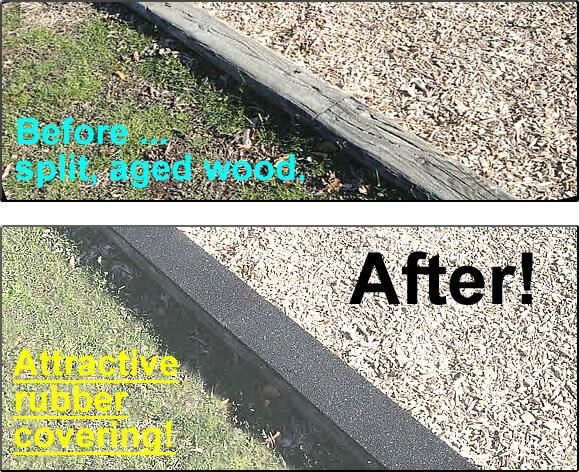 Our rubber covering extends the life of your wooden border timbers by protecting them from the elements. It also protects playground users from wood splinters and preservative chemicals used to treat the wood. It’s made from 100% American recycled rubber. The rubber covering is sold by the foot. It secures to the wooden border timbers with screws, not glue (not included). The rubber covering for wooden timbers is available in one color: black. 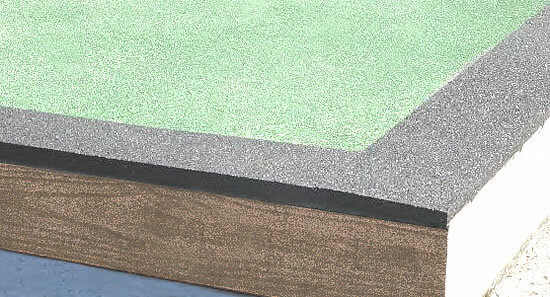 This rubber covering is made from 100% recycled rubber. It comes with a 1-year warranty. Freight. These items ship via motor freight. They’re shrink-wrapped and palletized. One(1) Foot of TieGuard Timber Cover $2.95 per foot. Same price for 4″ or 6″ width.